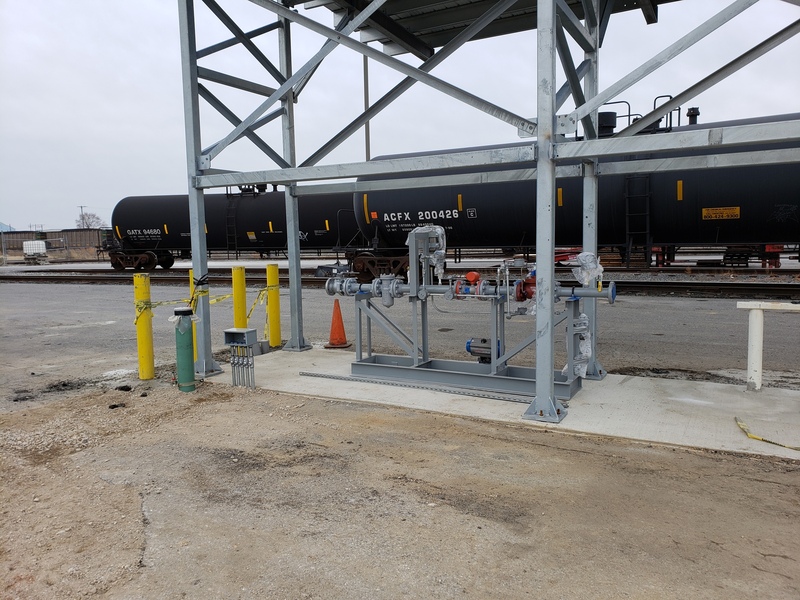 Superior Energy Systems has completed its most recent propane terminal build for Tri Gas & Oil, which will operate as affiliate Mid-Atlantic Rail Services (MARS). The new terminal, served by Norfolk Southern and CSX Railroads, will initially provide 120,000 gallons of propane storage, along with a four-position rail rack and two truck loading racks. The new MARS terminal is an example of how Superior strategically builds efficient, safe and fully automated terminals that play a crucial role in delivering fuel to underserved markets. 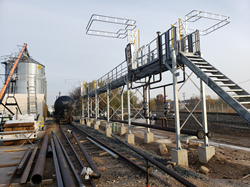 Superior Energy Systems has completed its most recent propane terminal build for Tri Gas & Oil, which will operate as affiliate Mid-Atlantic Rail Services (MARS). Superior spearheaded all efforts in the design, engineering, permitting, construction, startup and commissioning of the brand-new Baltimore terminal. Family owned and customer focused, Tri Gas & Oil offers energy solutions to both residential and commercial customers in Maryland, Delaware, Virginia, New Jersey, and Pennsylvania. “Superior exceeded our expectations with this terminal build,” said Keith McMahan, chairman and CEO of Tri Gas & Oil. “From the initial design phase to commissioning, the Superior team focused on quality, efficiency and customer service at every step. Now we can provide an additional midstream source of propane to our growing community.” MARS will serve the Mid-Atlantic region with a reliable source of propane by providing destination delivered supply or railcar through put arrangements. The new terminal, served by Norfolk Southern and CSX Railroads, will initially provide 120,000 gallons of propane storage, along with a four-position rail rack and two truck loading racks. Double-acting compressors quickly unload and recover vapor from railcars. Turbine pumps allow for loading rates of 550 gallons per minute, with capability to load up to six trucks per hour at an average rate of 18 minutes per truck. “Local daily switching service from The Canton Railroad provides up to three switches a day in the peak of winter. This translates to product delivered into as many as 36 trucks per day when it is needed most,” said Andy Ronald, NGL consultant with JAR Consulting, LLC. Conveniently located just north of Baltimore Harbor off Highway 95, the terminal allows trucks access to bulk propane product. Fuel transport trucks in Maryland are prohibited from entering the tunnel system, typically traveling over bridges instead. The strategic location of MARS allows for the convenient use of the Francis Scott Key Bridge when accessing from the south of Baltimore. The Canton Railroad, a Class III switching and terminal railroad in Baltimore County, operates the terminal. Superior led design efforts to extend the railway siding to create adequate space for the terminal. A grand opening event and tour of the terminal is planned for spring and will be open to the public. For information on the event, please contact Crystelle Markley at crystelle(at)superiornrg.com. About Superior Energy Systems, Ltd.: For more than 40 years, Superior Energy Systems has brought together engineering, manufacturing, construction and safety expertise to focus on operational excellence. We provide the best in turnkey LPG and NGL systems and infrastructure solutions as well as safety and compliance training. We have manufactured more bulk plants and trans-shipment terminals throughout the United States than any other company and have over 1,000 autogas dispensers located across North America. In addition, we design, engineer, construct and service vaporizers and mixers, rail towers, metering and odorant skids and stand by fuel systems. Visit us at our Cleveland headquarters or learn more at SuperiorNRG.com. About Mid-Atlantic Rail Services: Mid-Atlantic Rail Services provides unbranded petroleum products to wholesale customers in Maryland, Delaware, Virginia, New Jersey, and Pennsylvania. MARS is a new addition to the Tri Gas & Oil family of companies. With this addition, we are able to increase the transport and service area of our unbranded petroleum-based fuels to our wholesale partners. We offer fuel delivery, risk management, supply physical and financial hedges, fixed pricing, spot contracting, index, and swaps/options. For rail and supply needs, please contact Randy Marshall, Director of Logistics & Rail Operations (rmarshall(at)trigas-oil.com), or John Dalina, Director of Supply (jdalina(at)trigas-oil.com), or by calling our office at 1-888-229-9245. Find us online at http://www.trigas-oil.com/wholesale. About Tri Gas & Oil: Since its incorporation in 1963, Tri Gas & Oil has proudly been serving the Eastern and Western Shores of Maryland and Delaware and surrounding areas. We provide propane, heating oil, petroleum-based fuels, and propane appliances to area homes and commercial businesses. Find us online at http://www.trigas-oil.com. Superior Energy Systems spearheaded all efforts in the design, engineering, permitting, construction, startup and commissioning of the brand-new Baltimore terminal. For more than 40 years, Superior Energy Systems has brought together engineering, manufacturing, construction and safety expertise to focus on operational excellence.